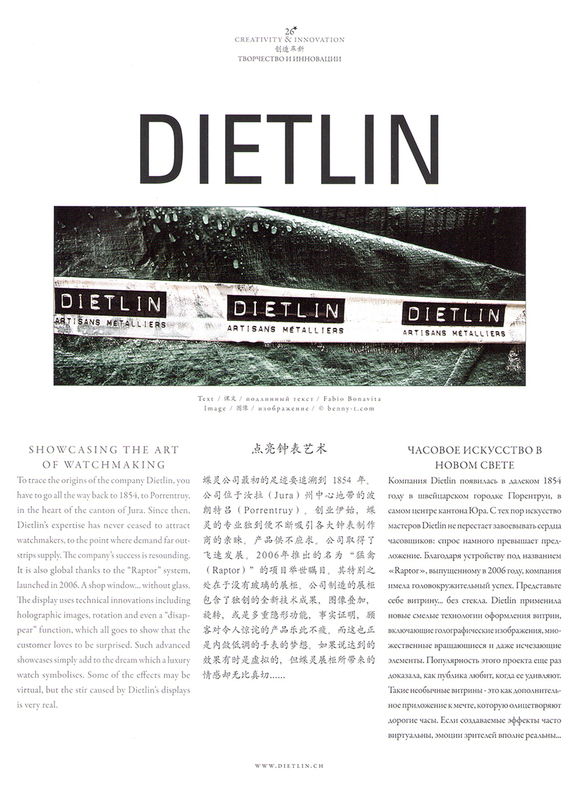 Dietlin Swiss Showcases - 5stars magazine : Dietlin made in Switzerland, showcasing the art of watchmaking. 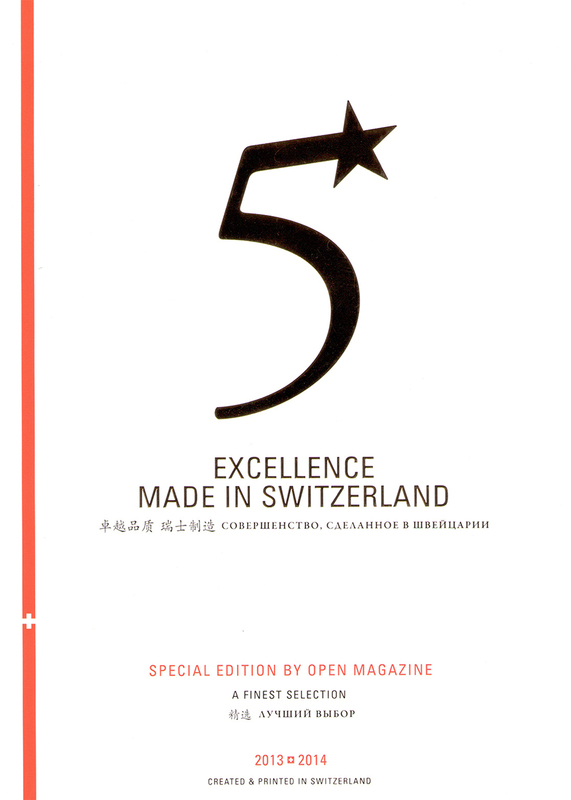 5stars magazine : Dietlin made in Switzerland, showcasing the art of watchmaking. To trace the origins of the company Dietlin, you have to go all the way back to1854, to Porrentruy, in the heart of the canton of Jura. Since then, Dietlin’s expertise has never ceased to attract watchmakers, to the point where demand far out¬ strips supply. The company’s success is resounding. It is also global thanks to the “Raptor” system, launched in 2006. A shop window... without glass. The display uses technical innovations including holographic images, rotation and even a “disap¬pear” function, which all goes to show that the customer loves to be surprised. Such advanced showcases simply add to the dream which a luxury watch symbolises. Some of the effects may be virtual, but the stir caused by Dietlin’s displays is very real.